For the first time in 10 years, the Physical Activity Guidelines for Americans have been updated. This second edition of the guidelines from the U.S. Department of Health and Human Services provides evidence-based recommendations on how youth aged 3–17 as well as adults can safely get the physical activity they need to stay healthy. There are new key guidelines for children aged 3–5 and updated guidelines for youth aged 6–17, adults, older adults, women during pregnancy and the postpartum period, adults with chronic health conditions, and adults with disabilities. Adults. The first key guideline for adults is to move more and sit less. This recommendation is based on new evidence that shows a strong relationship between increased sedentary behavior and increased risk of heart disease, high blood pressure and all-cause mortality. All physical activity, especially moderate-to-vigorous activity, can help offset these risks. We now know that any amount of physical activity has some health benefits. Americans can benefit from small amounts of moderate-to-vigorous physical activity throughout the day. The first edition of the Physical Activity Guidelines for Americans stated that physical activity bouts had to last at least 10 minutes to count toward meeting the guidelines. The second edition removes this requirement to encourage Americans to move more frequently throughout the day as they work toward meeting the guidelines. Adults still need 150 minutes of moderate-to-vigorous aerobic activity each week, with muscle-strengthening activities on 2 days per week, to stay healthy. Youth aged 6–17. The recommended amount of physical activity for youth aged 6–17 is the same as it was in the last guidelines. Each day, youth in this age group need at least 60 minutes of moderate-to-vigorous activity to attain the most health benefits from physical activity. Most activity can be aerobic, like walking, running or anything else that makes the heart beat faster. Youth also need activities that make their muscles and bones strong, like climbing on playground equipment, playing basketball and jumping rope. Children aged 3–5. 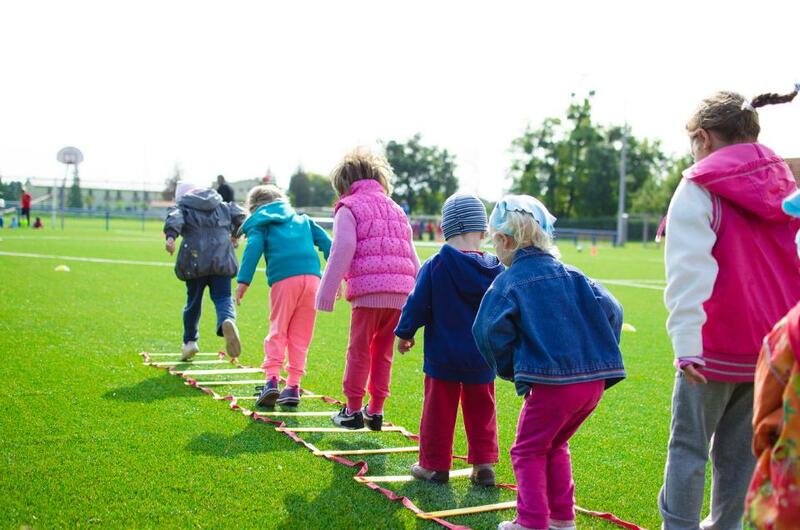 The new key guidelines say that preschool-aged children should be active throughout the day to enhance growth and development. Adults caring for children this age should encourage active play (light, moderate or vigorous intensity) and aim for at least 3 hours per day. There are longer-term benefits from physical activity, including improved brain health, reduced risk of eight types of cancer (previously two), reduced risk for fall-related injuries in older adults, and reduced risk of excessive weight gain. For more information about the latest Physical Activity Guidelines for Americans, visit www.health.gov/paguidelines.